I've been interviewing salespeople for clients lately, and I have to tell you I'm disappointed. The good news is that companies are engaged in growth, and I'm seeing more of them understand the need to bring on quality salespeople to support the effort. The bad news is that it doesn't appear most salespeople are ready to take advantage of this. So I share these insights with those who are hiring, and those sales candidates who are looking for a new place to call home. What's interesting is the entire challenge rests in the one part of the hiring process sales people should absolutely thrive - the interview! If the salesperson sounds like every other salesperson in an interview - it's probably because they are. If they can't differentiate themselves there, they'll struggle differentiating your product/service when they're with a customer. If a salesperson doesn't ask penetrating questions that both takes the conversation deeper and allows you and them to understand your issues better, they're don't going to ask penetrating questions to enable you to Move Beyond Price when they're with a customer. If a salesperson doesn't share with you real mistakes they've made, how they've learned from them, and how they will apply those lessons in the future - they are lying, have no self awareness or both. 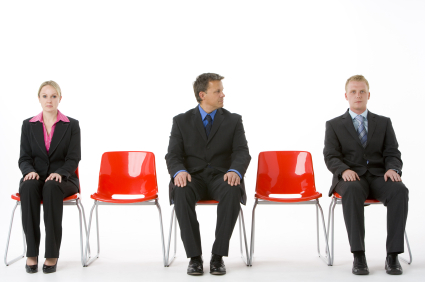 If a salesperson doesn't show tremendous curiosity in the interview, they won't in the job. If a salesperson isn't completely prepared at any stage of the interview process, they won't prepare once they're hired. They should understand your business (or have very good questions to understand your business), have a solid idea of the results you're looking for and be able to discuss barriers from the beginning. If they can't it's a good bet they'll peddle your offering, just like they peddle their services. Feel free to share any insights you've gained in assessing salespeople in the comments below. By the way, I recently updated an article on avoiding the 10 most common mistakes when hiring salespeople.